HUNTERSVILLE, North Carolina (Oct. 16, 2018) – It’s October and, as usual this time of year, M&M’S has brought back its Halloween-themed No. 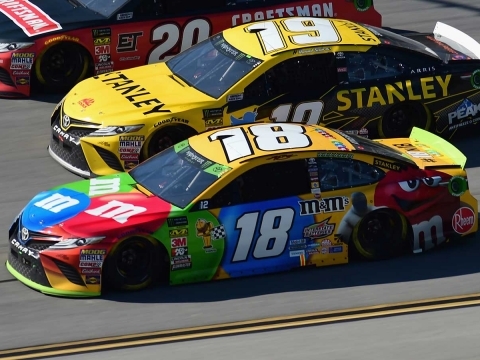 18 M&M’S Toyota for driver Kyle Busch during the next two Monster Energy NASCAR Cup Series races – this weekend at Kansas Speedway in Kansas City and the following weekend at Martinsville (Va.) Speedway – during one of M&M’S busiest seasons. “Kansas has been a good place to come for our sport. You know the crowd, the reception, the racetrack, the community has really built up around the racetrack there over the last 10 years, or so. It’s been a lot of fun to see all that happen and I’m looking forward to the race. It’s been a great racetrack for us, lately. We’ve had some good runs there once the track aged. We’ve kind of seemed to maybe have figured out the place a little bit better. And, you know, we’re looking forward to the opportunity of being able to go out there and hopefully get ourselves with our M&M’s Halloween Camry in victory lane." “I think so. We ran third there in the fall of 2014. I wasn’t there in the spring race of 2015 since that was the last race I was recovering from my injury, but (Erik) Jones ran up front until he ended up wrecking. The last several races there, the track really has started to change and the groove is starting to spread out, and it makes me more comfortable when a track gets worn in. 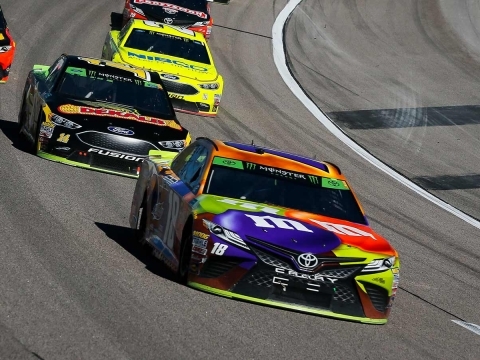 Adam and the guys have been bringing really good racecars to the track every weekend and, when you have great cars and run up front, good things are going to happen."